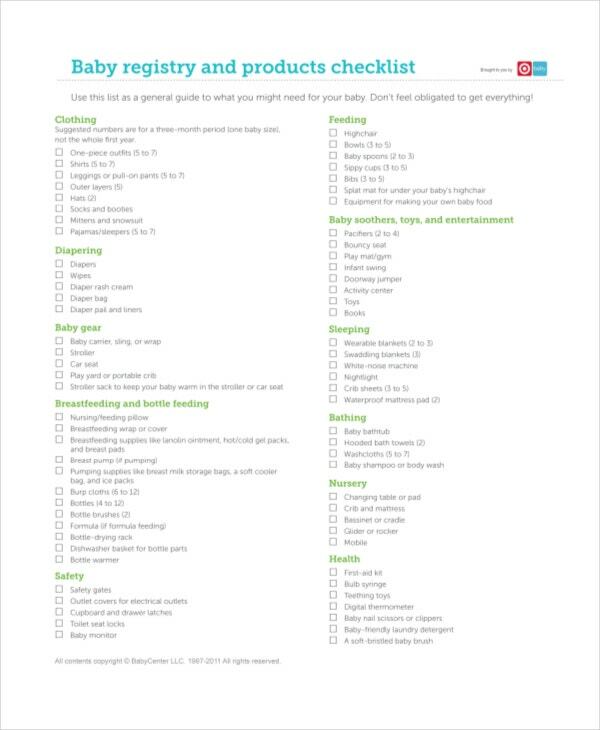 If you want to be sure about quality yet a handy selection of baby commodities that your baby might need then make use of baby registry checklist. 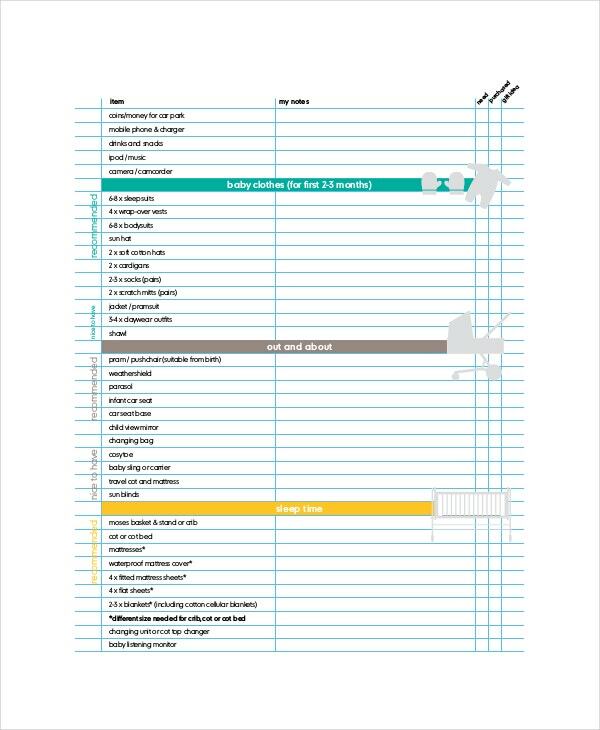 As parents, godparents or guardians, if you want to list down all the necessities for your baby or just want a readymade leaflet where you’ll just tick the box to ensure that you don’t miss anything, it’s better to use this sample checklist. 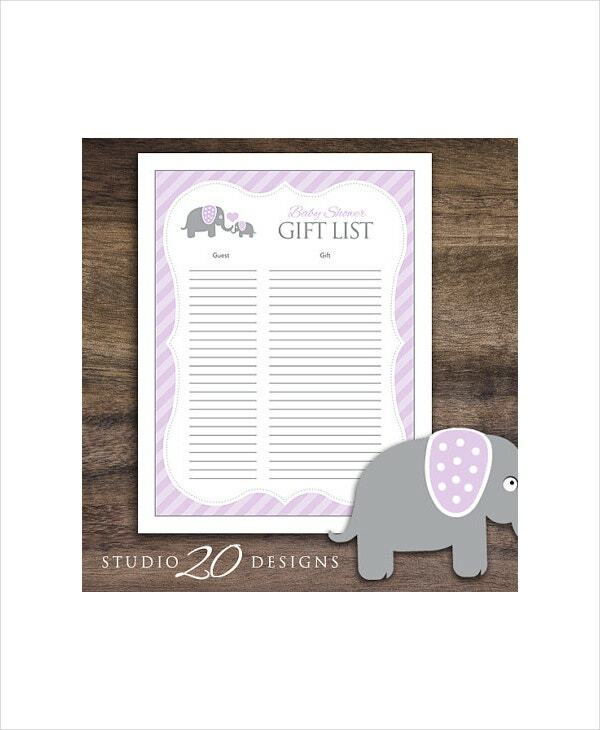 Use our printable baby registry checklist that will certainly get you started with this task without forgetting anything. The colorful and creative baby theme design will likely put you into a mood of buying stuff for a baby shower event. With 8.5×11 JPEG or PDF content of this file, every single item you wish to buy will be listed down. 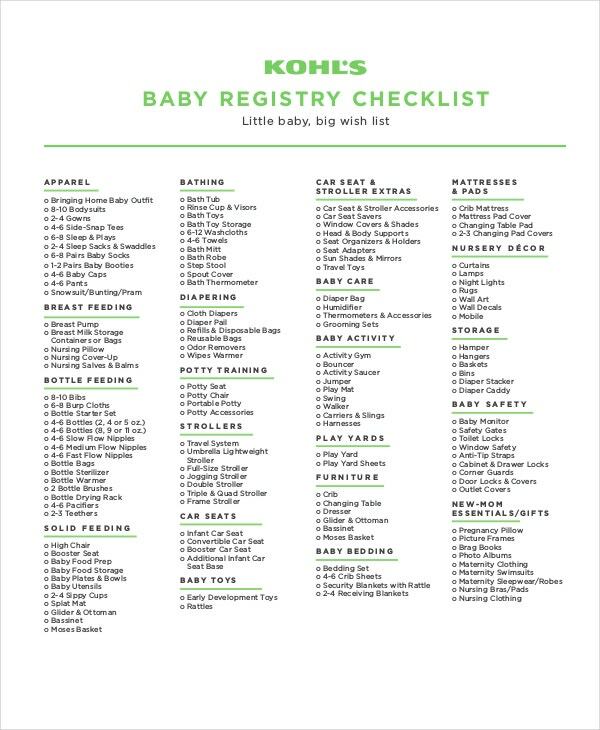 New and fresh products for babies are now easy to buy since all the stuff are listed in this checklist template. It can be downloaded either in PDF or JPEG format. 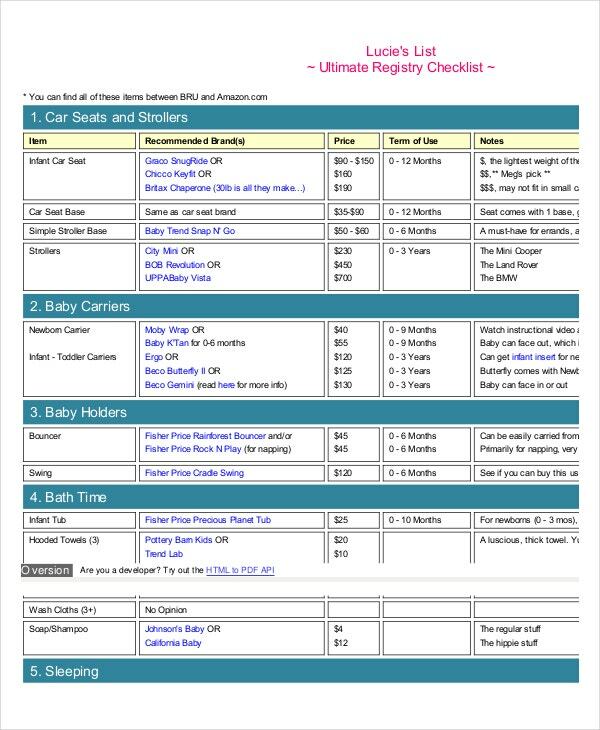 You can also see Essential Baby Registry Checklists. This checklist has all in one deal for mothers of all ages from prenatal up to the delivery of your baby. It’s like a package of baby supplies for pregnant mothers for every occasion. 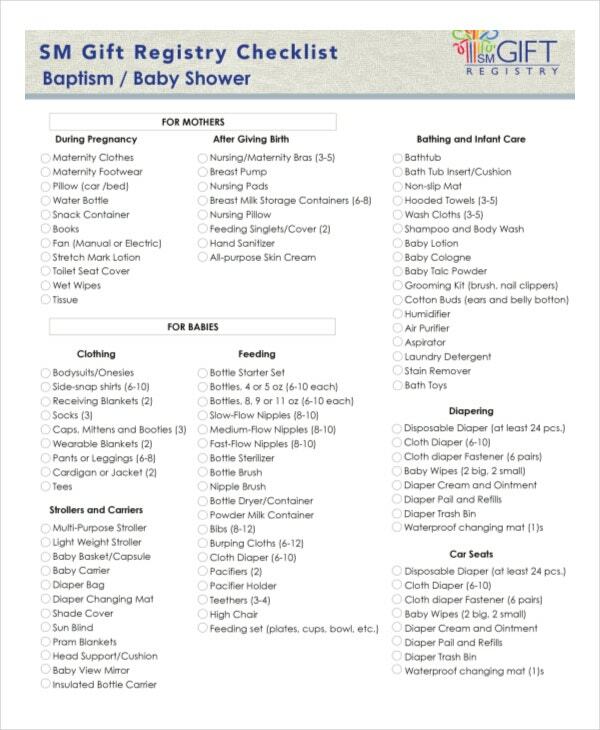 The baby depot checklist contains thirteen categories for home and delicate items intended for babies as they develop and grow regardless of their gender. The essential things that every baby will need as he/she comes out from his/her mother’s womb are arranged in this checklist suitably. This kind of checklist offers various age specific products that every baby needs. 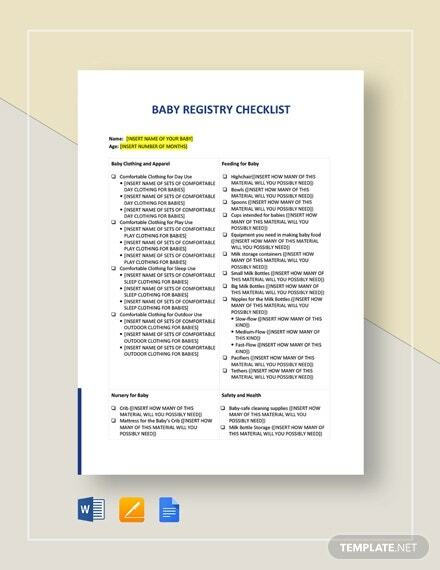 It is an up to date checklist that helps parents and guardians to choose their preferred stuff for their babies and buy them without any difficulty. 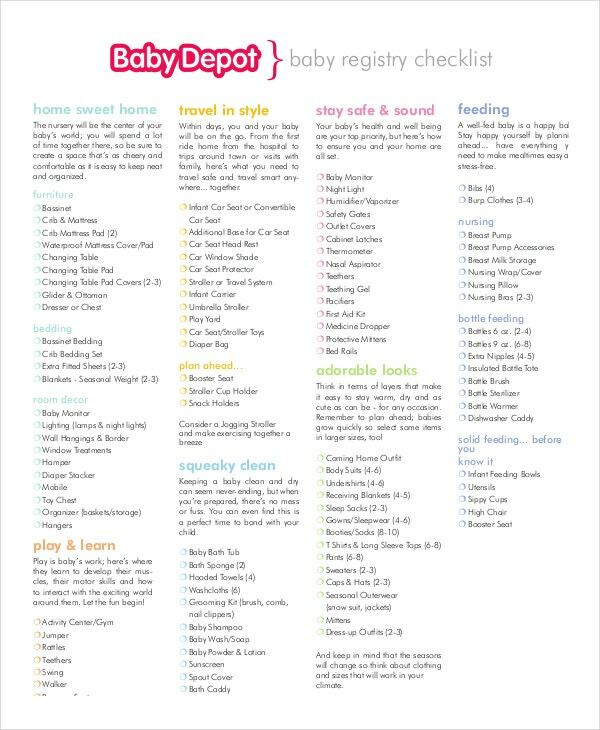 This checklist is for every parent as they can utilize it to see a summary of baby items that may be useful for taking care of their baby. You can choose from clothing, toys, feeding, and other supplementary products which are in bold letter for quick reading and selection. 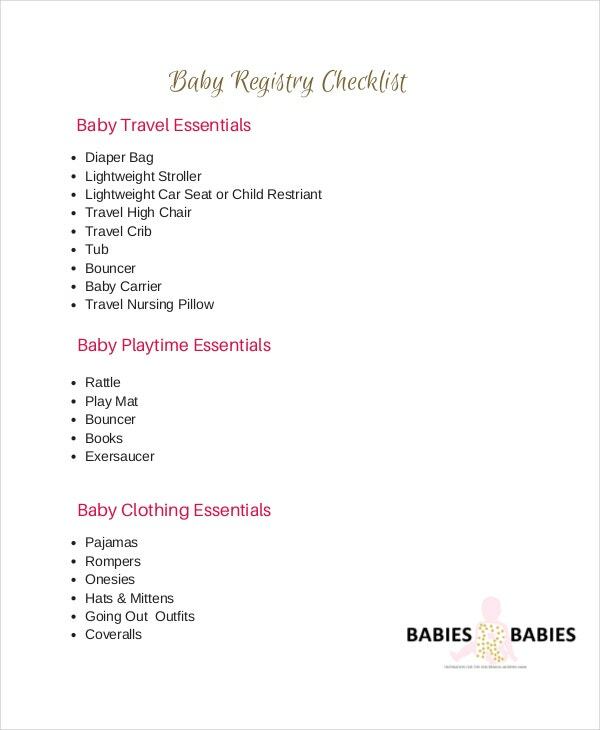 Our checklists can accommodate all the inquiries you may have if you are to purchase anything for your baby. 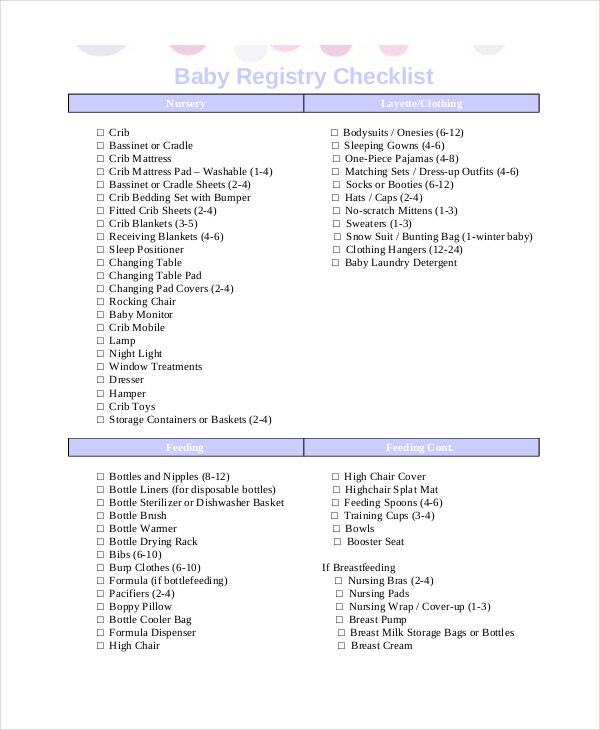 You can also try essential baby checklist and target baby checklist for a more complete set of items for your little ones.